They say opposites attract; you may find that some of your best friends are people who challenge you and offer you a different perspective on life. Apparently, the same can be true for animals! 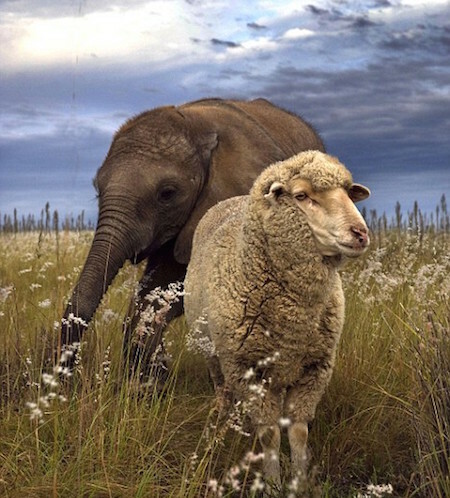 Countless unlikely animal friendships have been recorded in pictures and on the news. Here are just a few to help you see how compassionate animals can be! Anajna, a chimpanzee who lives at a US animal reserve, has, with the help of her caretaker, raised orphaned animals before. You can see, though, how special the relationship between Anjana and these orphaned tiger cubs is. 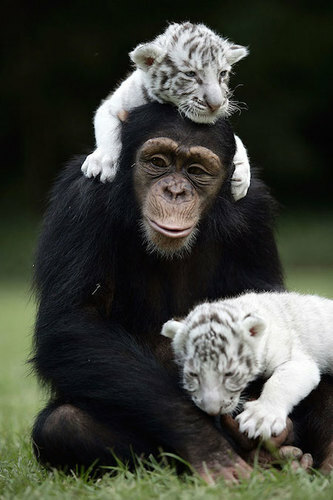 The chimpanzee is gentle, caring, and seems to take pleasure out of caring for and playing with the baby tigers. Chimpanzees are an intelligent, social species, who are used to living in communities and watching out for each other. Even knowing this, it's so special to see a chimpanzee bonding with a totally different species. What a beautiful story of love! These three animals share an amazing story. Shere Khan is a tiger, Baloo a bear, and Leo a lion. They were rescued together from an owner who had ill-treated and abused them, causing Baloo a permanent deformity. 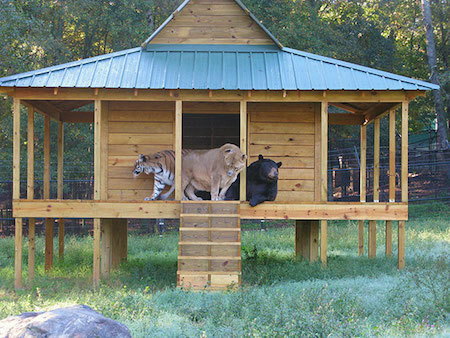 Having been through something so frightening and unnatural together, the three now spend all their time together at an animal sanctuary in the US. Themba, an orphaned baby elephant, was brought to a wildlife refuge in South Africa after his mother died. 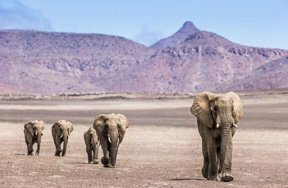 Elephants are known to dearly mourn their lost loved ones, and Themba was frightened and depressed upon his arrival at the refuge. He wouldn't eat, and employees worried that he would starve. In hopes of perking him up, they introduced him to Albert, a sheep. It worked! Themba and Albert became friends, spending all their time together and often taking naps together. Themba even started eating again! When we think of animal relationships, we often think of those between human and animal, but the most important relationships in the lives of most animals is with other creatures. Not all species get along, particularly predatory species, but it's wonderful to see how one species can protect and care for another under certain special circumstances. The animals above may not have spent their whole lives together, but during their time together provided much needed comfort, companionship, and love. Do you believe that opposites attract? Comment below and let us know! Why do you think different species of animals become friends? Humans force them to do it. They think they're the same species. They really like each other.